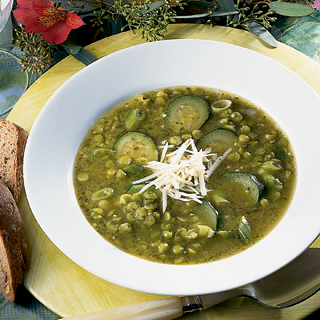 A fresh-tasting soup featuring split peas, zucchini and basil. Nutrition Highlights: Zucchini is a good source of vitamins A and C as well as heart-healthy potassium and fiber, while split peas provide protein. Combine peas, broth and water in a large saucepan; bring to a boil. Reduce heat, cover and simmer 35-45 minutes or until peas are very soft. Stir in the pesto, zucchini and scallions and simmer 5-10 minutes longer. Garnish with fresh grated Parmesan cheese and croutons. 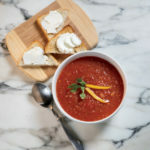 You can also use freshly made basil in this recipe. A perfect combination peas and pesto and yet I never had them together. 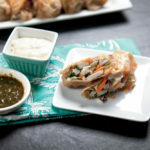 Thanks for sharing this recipe on foodie friday.